Don Walser is living proof that dreams can come true. Raised on classic country in Lamesa in far West Texas, he started out singing in honky-tonks as a teen, visions of the Grand Ole Opry no doubt in his head. For more than four decades, the devoutly Mormon Walser played the bars of West Texas as if they were his church, never losing faith in the music he loved. He once shared a stage with a young and yet-to-be-famous Buddy Holly, earned a rave review in Billboard for one of his singles, and even traveled overseas as a musical ambassador for the city of El Paso. Stardom, however, remained elusive. 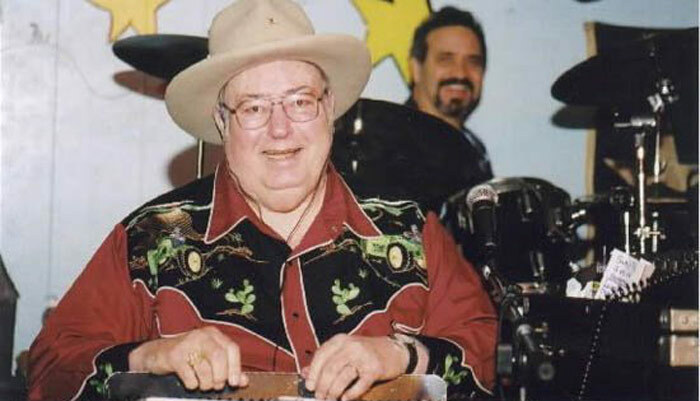 www.houstonpress.com Don Walser’s Shotgun Boogie music video filmed at Babe’s in Austin 1995.Walser died due to complications from diabetes on September 20, 2006, 6 days after his 72nd birthday.